Alex Gordon, Lorenzo Cain and Jarrod Dyson currently round out the Royals outfield, which has featured a number of MLB stars over the years. The story with the Royals and their recent success has always been teamwork, so it’s tough to single out a monumental player from the current Royals outfield. Let’s take a look at some of the best Royals outfielders in history. The Royals were awful when DeJesus manned the outfield, but DeJesus was one of the best players on the team. In his Royals career, DeJesus’ batting average was .289 and he knocked in 390 runs. He was known for having a great glove, but his batting stats were also valuable to the Royals. DeJesus recorded 61 home runs with the Royals, playing for the team from 2003 to 2010. 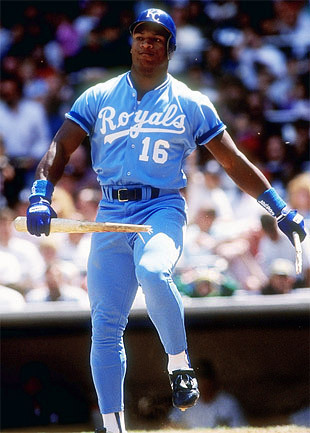 Revered as one of the best athletes in history, Bo Jackson is one of only three Royals to hit a home run in an MLB All-Star Game. He is also the only athlete to make an all-star game in both football and baseball. Jackson doubled as a star football player, playing running back for the Los Angeles Raiders. 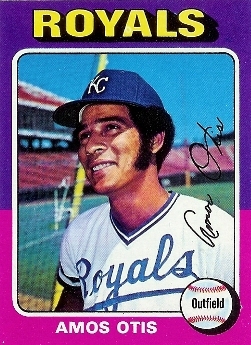 In baseball, Jackson was a standout player for the Royals. He hit 141 home runs in his MLB career, 109 of them with the Royals. Jackson finished tenth in MVP voting in 1989. Gordon is having a rough season so far in 2016, but you can’t forget his production over the last two World Series runs. The star left fielder won Gold Gloves four years in a row, being named to three-straight All-Star Games in that span. Gordon is one of the most decorated Royals on this list. Gordon heads up one of the best defenses in the history of baseball. He recorded a 100 percent fielding percentage in 2015, the year the Royals won the second title in franchise history. His batting average is consistently around .270, but Gordon’s contributions to the Royals’ defense have been invaluable. Tartabull is one of the best hitters on this list, with a career slugging percentage of .496. 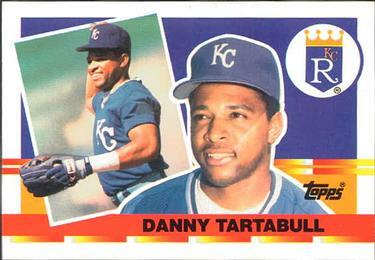 Named to an All-Star Game in 1991, Tartabull’s MLB career took off when he arrived to Kansas City from the Seattle Mariners. Tartabull enjoyed a standout year in 1991, recording a .593 slugging average and 100 RBI. 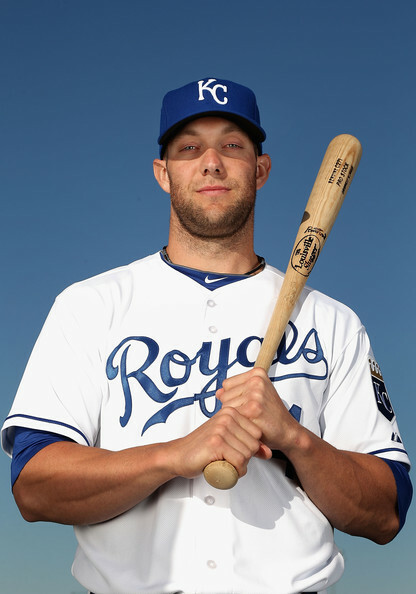 His batting average in five years with the Royals was .290. Beltran is one of a number of Royals stars who launched successful careers with large-market teams by excelling in Kansas City. One of his best seasons came in 2002, when the center fielder recorded a 98 percent fielding percentage. Beltran wasn’t the only star on the team in the era he played for the Royals. He was part of an outfield that featured Jermaine Dye and, for a short period of time, Johnny Damon. In May 2016, Beltran achieved a big milestone. He hit 400 home runs and 300 stolen bases. Beltran will go down as one of the best outfielders in baseball. After leaving the Royals, he was named to nine All-Star Games and won three Gold Gloves. Beltran’s former teammate Dye is another all-time great outfielder not just for the Royals, but in baseball. Dye would go on to be one of the best players on the 2005 World Series-winning Chicago White Sox, but it all started with the Kansas City Royals. 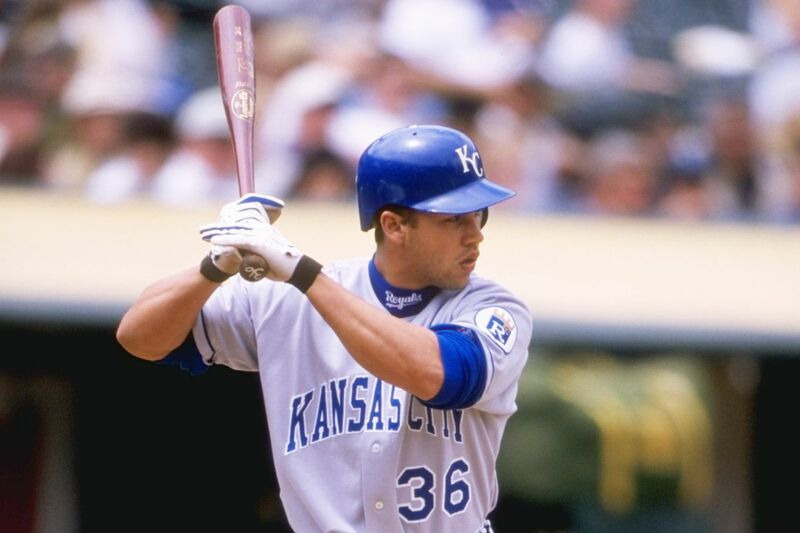 A peak year with the Royals in 2000 earned him a move to the Oakland Athletics about halfway through the 2001 season. Dye won a Gold Glove and was named to the All-Star Game in 2001. In five years with the Royals, Dye had a batting average of .284. Dye’s career fielding percentage is 98 percent. A star for the Royals in the run to the franchise’s first World Series, Willie Wilson was a two-time All-Star, Gold Glove and Silver Slugger winner. 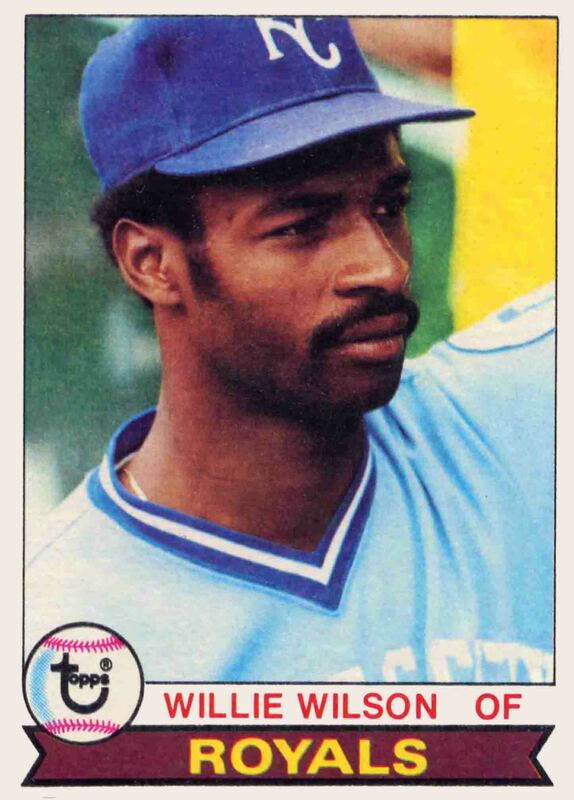 While Wilson helped carry the Royals to the World Series title in 1985, 1980 was a career season for him. He won both the Gold Glove and Silver Slugger award that year, recording a season batting average of .332. With a postseason batting average of .367 in 1985, Wilson was one of the biggest contributors to the historic 1985 team. Wilson started his illustrious career with the Royals and stayed in Kansas City all the way until the age of 35, when he moved to the Oakland Athletics. 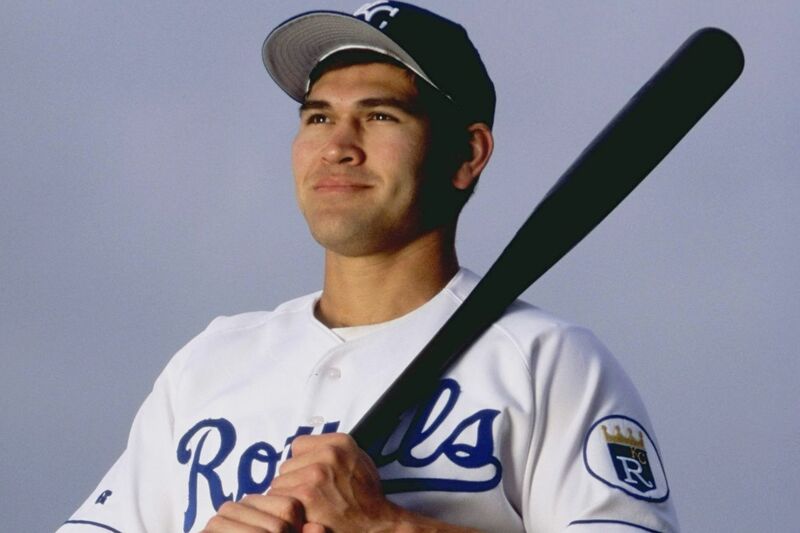 In the early 2000s, Johnny Damon emerged as one of the best outfielders in baseball. He took the center field position from Carlos Beltran during the 2000 season and impressed. In his last two seasons with Kansas City, Damon’s batting average stayed over .300. His fielding percentage was over 98 in his last three seasons with the Royals. The success over six seasons with the Royals earned Damon a trade to the Oakland Athletics. Damon’s stay in Oakland was short, as he moved to the Boston Red Sox after one season. Damon is better known for his Red Sox and Yankees career, and he is one of the best players to have played for the Royals, even though the best years of his career were not in a Royals uniform. Damon went on to be a two-time All-Star. Damon is a Kansan, born in Fort Riley, Kan. However, he played his high school baseball in Florida. Playing as both a designated hitter and outfielder in his monumental career with the Royals, McRae played on the team that won the ’85 World Series. He spent the entire rest of his career with Kansas City after arriving from the Cincinnati Reds in 1973. McRae’s heyday as a Royal came in 1975 and 1976, when he appeared in back-to-back All-Star Games and finished fourth in league MVP voting. In 1982, McRae made a third career All-Star Game and captured a Silver Slugger award, finishing fourth once again in 1982 MVP voting. McRae recorded an impressive .402 on-base percentage. Even toward the end of his career, McRae was a central piece to Royals success. He was still batting .259 at the age of 39 in 1985 and played in 112 games. In a 15-year career with the Royals, McRae held a batting average of .293. Five-time All-Star, World Series champion and 3-time top 10 finisher in MVP voting, Amos Otis completes our list of top Royals outfielders. Otis’ time just missed the World Series title in 1985, but he goes down as one of the best individual players in Royals history. He played in four straight All-Star Games from 1970 to 1973, winning two Gold Gloves and finishing third in MVP voting once in that span. Otis also maintained a 99 percent fielding percentage mark at the center fielder position. Check out the below play from 1981 in which the Mariners’ Lenny Randle attempts to blow Otis’ hit foul. Otis was awarded first base by the umpire, setting a precedent for baseball history. Tickets For Less is an Overland Park, Kan.-based ticket seller. 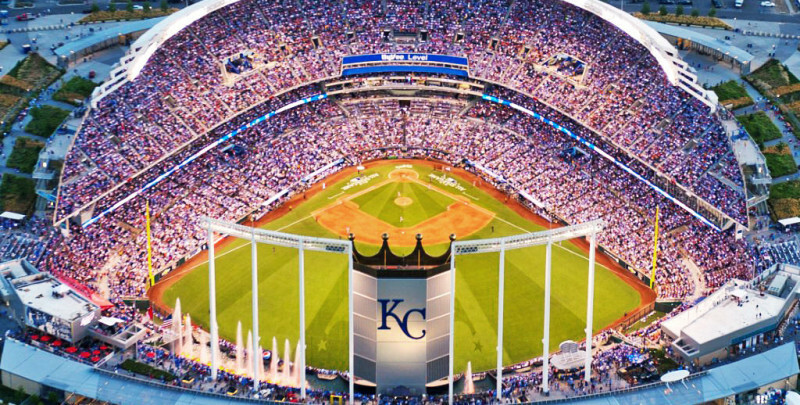 We are one of the biggest sellers in the country of Kansas City Royals, Kansas City Chiefs, Kansas Speedway and Sprint Center tickets. To order, call 866-685-3322 or visit our website. You could quibble about Hal MacRae being listed as an OF, since he was primarily a DH, but he was a good, at times great, player for more than a decade. AO deserves to be first. He was a marvelous all-around talent. His performance in the 1980 World Series was remarkable — .478, 3 homers, setting a record for putouts in a WS game in Game 3. Small correction: Amos was named to five All-Star Games, but he played in just four. He collided with a wall just before the 1972 game and was unable to attend. The entire KC outfield was named to that year’s AL team, and Lou Piniella and Richie Scheinblum both played in it. Both went 0-1. Amos deserved to be an All-Star in 1978, 1979 and 1982 but was not named to it. He may have been OK with it, but I am still pissed.